Hello guys, welcome to another entry in this awesome blog. Today I want to address some tips on how to stop grinding your teeth together or bruxism. It is a topic that is brought by many of my patients, and it is a common problem in the US population. So do not feel ashamed or worry if you suffer from bruxism, it has a solution. Keep reading to know more about these really useful tricks and tips. As we know, bruxism can be causes due to anxiety and stress. So the reasons behind it can be varied and the most important thing is how to cope with it. Other reasons can include a bad bite formation or crooked teeth. Even so, as we said above, whatever the reason behind grinding your teeth, it can be taken care of with patience and the help of a dentist. And I want to make a disclaimer before we jump right into the article. These tips will help you to stop grinding your teeth together, but iit is necessary that you go to a dentist as soon as possible. Only with their help you can ultimately get rid of this annoying habit. For affordable and top quality dental care, visit us at Dental Solutio ns in Los Algodones Mexico, feel free to send us a message or give us a call to make an appointment! Grinding your teeth together can have some dangerous effects on your mouth. It can loosen your teeth leading to tooth loss. Dental crowns, bridges and even dental implants will be necessary to replace them. Best case scenario you will be experiencing pains in your jaw, face and head due to the constant rocking and stress in your teeth. 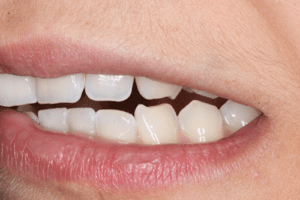 Another consequence from bruxism is cracking your teeth. As you can see it makes your smile worse. It can be such a pain for any patients thanks to the fact that most of them grind their teeth on their sleep. Making it a little difficult to deal with it or stop it. In some extreme scenarios it can cause TMJ, or temporomandibular joint síndrome. Which can affect the look of your jaw and face. 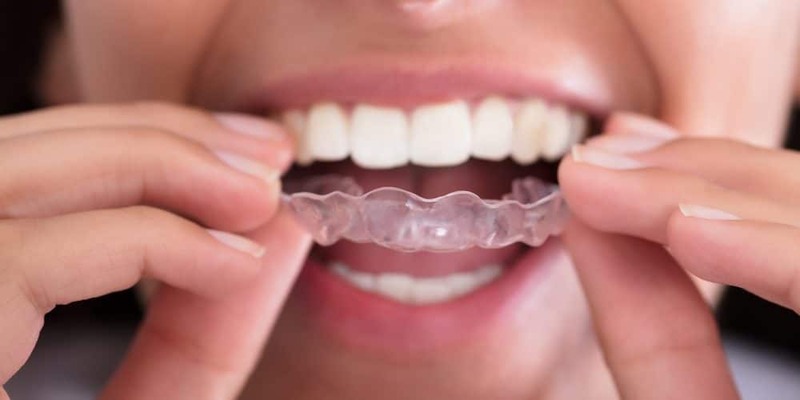 A mouth guard can stop the grinding right away. Especially at night while you are sleeping, it will help you to avoid any damage in your teeth. You can get them with your dentist’s office. You can get one at our clinic for a very cheap price. They are easy to use and will get the job done, but you will need more than that in some cases to stop bruxism forever. One thing to take into account is to treat anxiety and stress is that are the cause of grinding your teeth. Some common techniques include exercises to relax the jaw, they are really easy and effective. Other methods require biting in some objects for the same effect. One thing to remember is that if your bit is not aligned consider braces or surgery to correct it. it is important to talk with your dentist so you can decide the best course of action.